now preparing fruit for your juicer is a breeze! 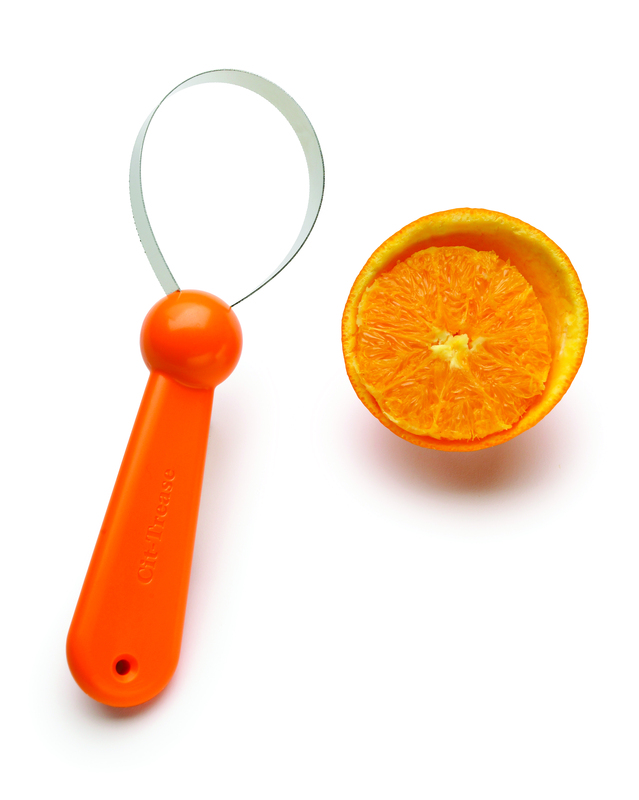 This clever tool makes it easy to remove citrus from the peel so you can enjoy fresh fruit cut up in a bowl or juiced in a glass. Simply score the citrus in a complete rotation by placing the blade teeth at the edge of the peel. 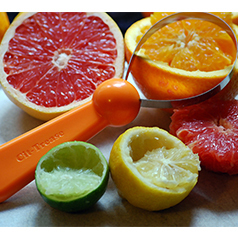 Continue rotating the citrus and move the Cit-Trease handle in a perpendicular position to the face of the fruit until it pulls away from the peel. Getting juiced was never so easy & healthy! Find the Cit-Trease in MARY's Secret Ingredients Spring 2015 Box! The Cit-Trease is just one of many time saving gadgets that we offer. CLICK HERE to see the rest! Takes a little practice to master, but makes quick work--particularly doing multiples. 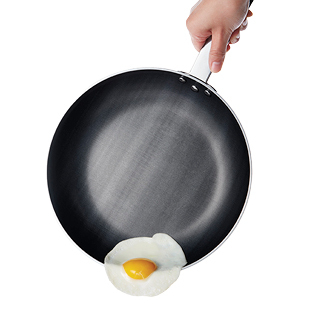 Advantages: Very quick and easy to use! Disadvantages: Takes a little practice. These gloves are FANTASTIC! Absolutely the best thing I have ever found to protect my hands.